Tom Barkhuizen battles for the ball at the John Smith's Stadium. 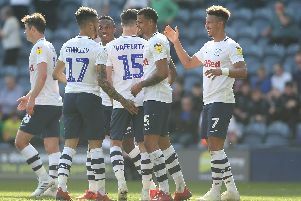 Controversy reigns as Huddersfield deny Preston with a 96th-minute winner. Look back on the action below. Hit F5 or refresh for the latest.